Are you experiencing juddering when pulling off? Can you smell burning when driving up steep hills? Can you be sure your clutch won’t fail at just the wrong moment? 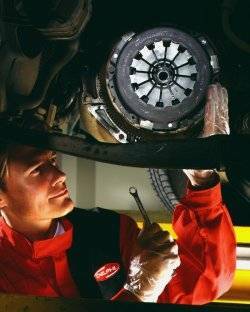 For all your Clutch related problems, visit your local independent Delphi Clutch Point Centre. Delphi Clutch Point Centres are accredited Clutch Specialists with highly trained technicians who can diagnose clutch faults and replace clutch systems where necessary for all makes of vehicles. With technical support information and fitting techniques from Delphi, you can have full confidence that your clutch will be fitted by professionals using Quality Delphi Borg & Beck.